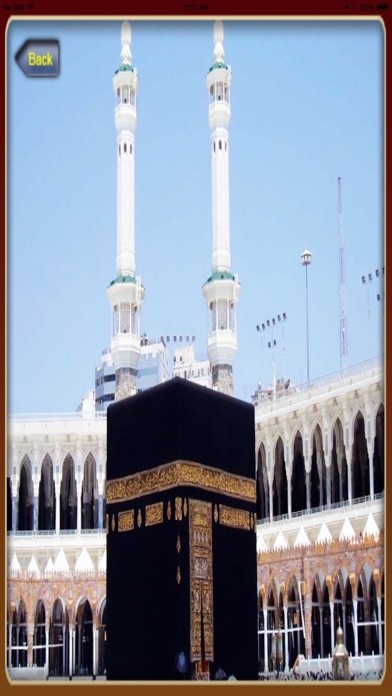 “Now face towards the divine Mecca everyday to pray” Brief History about Mecca: Mecca called Makkah in Arabic, located in western Saudi Arabia is Islam's holiest place. Mecca is the birthplace of Prophet Mohammad who was the founder of Islam. “Five times a day more than one billion Muslims around the world turn towards Mecca to pray to Allah” “Mecca is place and one of the key beliefs of Islam is a pilgrimage to Mecca at least once in a Muslim's life known as Hajj” Qibla (Direction to Mecca) Map: Mecca Map assists Muslims face towards Mecca during their daily prayers from anywhere in the world with a single click. 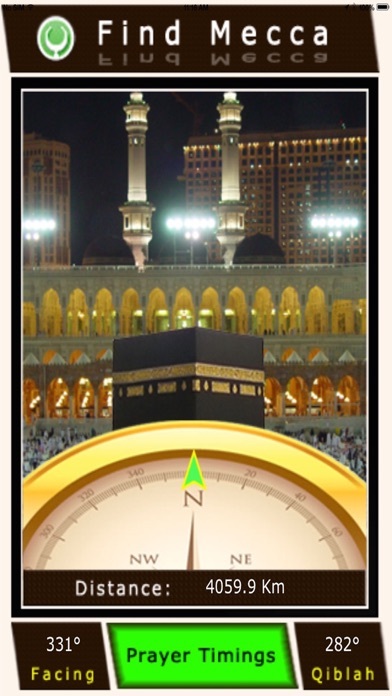 •Map Locates Quick Directions to Qibla •Position yourself towards Mecca by finding “Facing Angle” on map •Map shows Air Distance to Mecca •Supports iPhone 3Gs or later •Image Gallery •Tap ^ (arrow) mark on compass to view Mecca on Street Maps •Displays Daily Prayer Timings for Current Month •Map Automatically Updates Next Month Timings. •Indicates Prayer to Prayer remaining Timings. 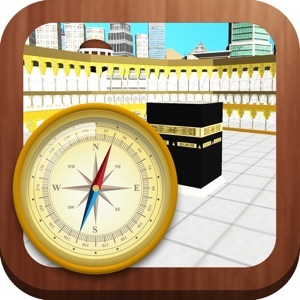 Mecca Map navigator will be very much useful to all who perform holy prayers to Allah everyday. 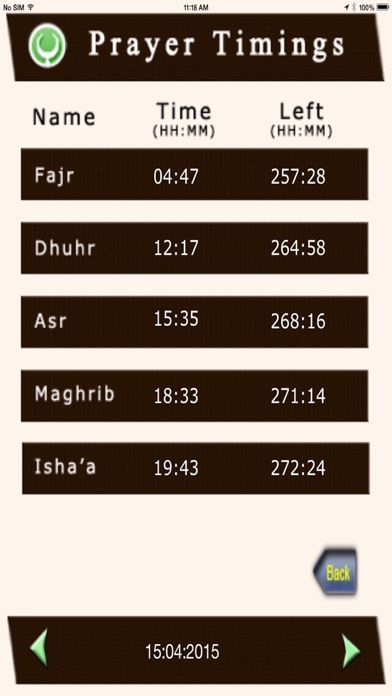 Note: For iPhone 3G & iPod versions Map displays prayer timings only. No heading information to Mecca will be indicated. To view prayer timings & course wifi or 3g data is a must.